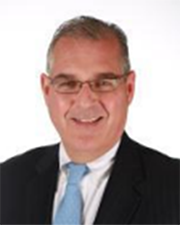 New York, NY Capital One has appointed senior vice president Louis Rosado as New York market manager of its commercial real estate group. In addition to implementing the bank’s strategic plan for the market, he is responsible for a team of relationship managers charged with loan and deposit production and capital markets origination. Rosado will report to Glenn Gallagher, Capital One’s national market manager for commercial real estate. Rosado has 25 years of experience in commercial real estate. 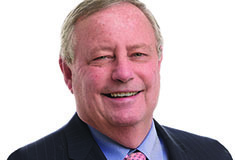 He joined Capital One with the bank’s acquisition of North Fork Bank in 2007, executing over $3 billion in commercial, construction, and multifamily loans since then. Before that, he worked in commercial real estate for Home Federal Savings Bank and Union Savings Bank. Rosado has underwritten loans for a wide variety of property types, including hotels, offices, and multifamily apartments, many of which were new construction. He is a member of the Real Estate Board of New York, the Real Estate Lenders Association, and the Young Mortgage Bankers Association. Capital One Bank’s Commercial Real Estate Group offers a comprehensive array of financing solutions for property owners and developers nationwide, including balance sheet and agency lending. Additional information can be found at capital.one/cre.